Beautifully remodeled and ready for you to enjoy. Inviting sunporch opens into spacious living room with open floor plan kitchen combination. Quartz countertops and beautiful tile backsplash will delight you. Spacious center island and counterspace. Two bedrooms here with full bath. Upstairs offers large bedroom with 2 full baths. 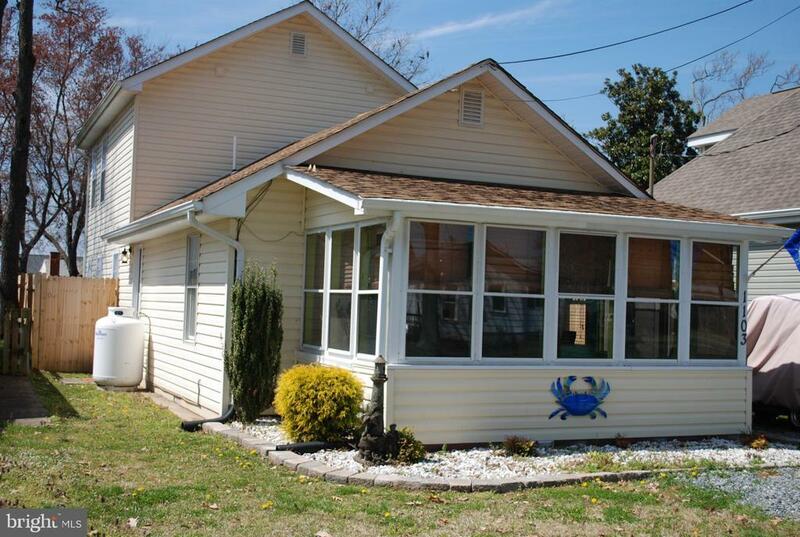 This great house has privacy fenced rear yard and is convenient to beaches and marinas. Colonial Beach is a golf cart accessible community. You can enjoy riding your golf cart within the town limits.